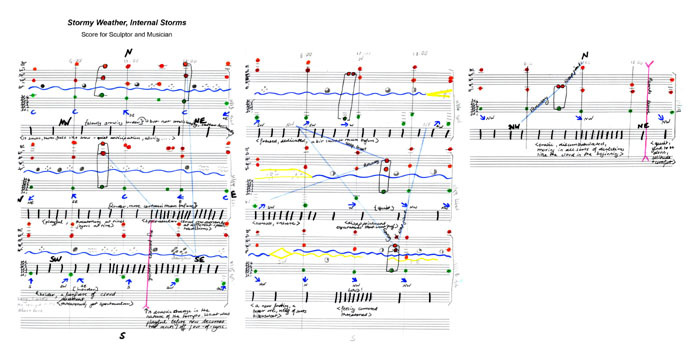 Visualizations of music, creative takes on notation, and physical data art are all running fixations at Brain Pickings. 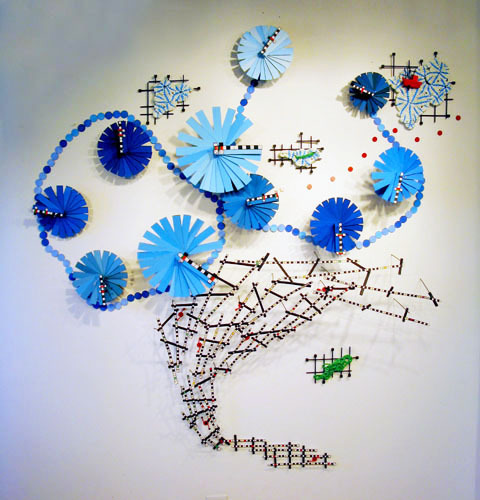 Naturally, the work of Boston-based artist Nathalie Miebach, one of this year's crop of extraordinary TED Global Fellows, is an instant favorite. 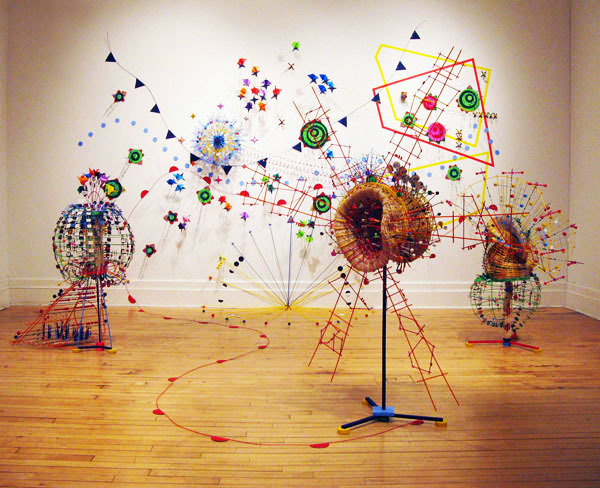 Miebach translates weather and climate change data from cities into musical scores, which she then translates into vibrant, whimsical sculptures and uses them as the basis for collaboration with musicians across a wide spectrum of styles and genres. 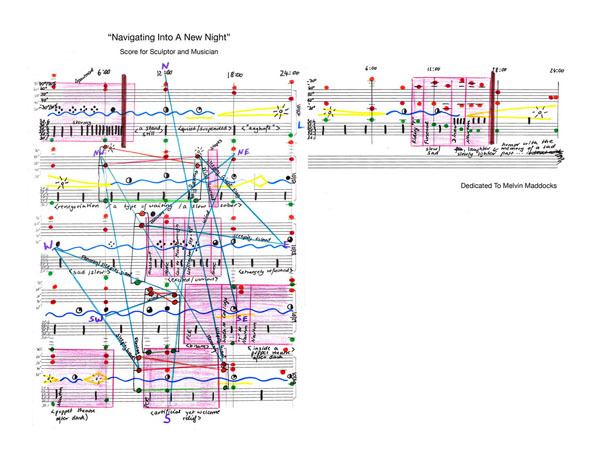 3D Musical Score of the passing of Hurricane Noel through the Gulf of Maine, Nov 6-8, 2007. Meteorological data comes from two weather stations in Hyannis, MA and Natashquan, Quebec as well as an off-shore buoy anchored on George's Bank in the Gulf of Maine. Data translated includes wind, air temperature, barometric pressure, wave height, cloud cover, historical hurricane data, and solar azimuth. 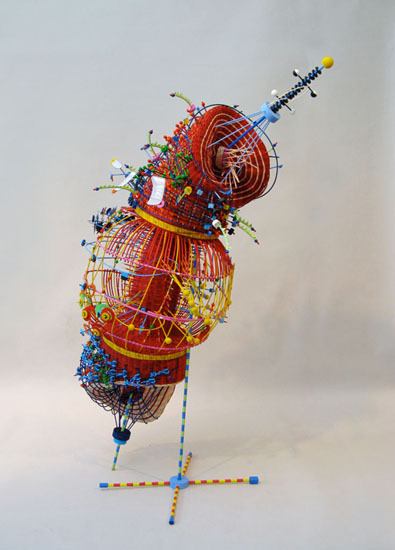 Each sculpture not only maps the meteorological landscape of a specific time and place but is also a fully functional musical score to be played and interpreted by musicans on instruments as varied as piano, French horn, and electrican guitar. 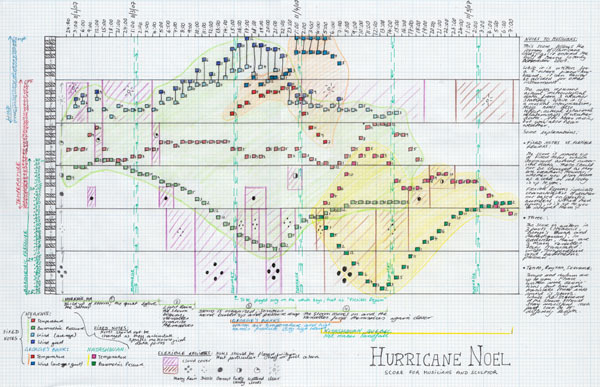 This piece is a musical score that tracks the paths of both Hurricane Grace and the Halloween Storm, which together created the 'Perfect Storm'. 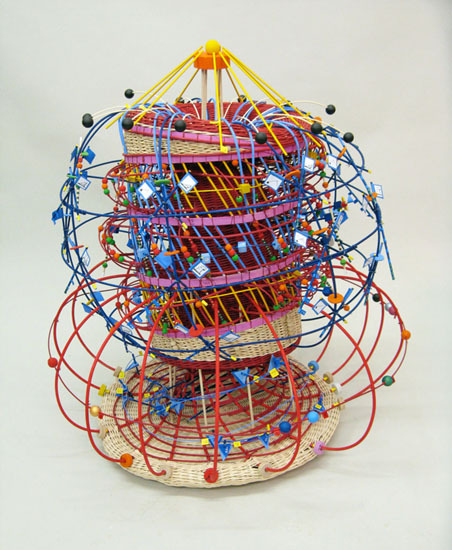 Miebach uses basket-weaving techniques and materials to interpret the data in three-dimensional space, using the lens of art and craft to look at scientific data with new eyes and glean new understanding. 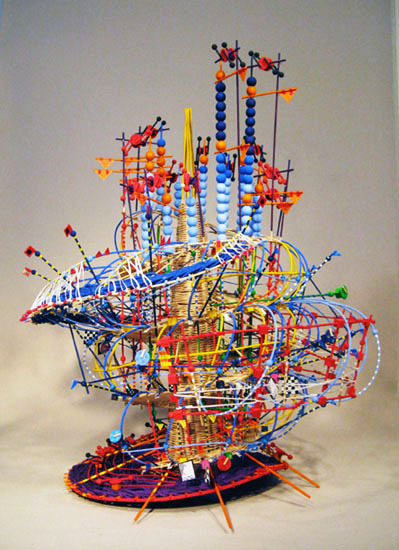 Together, Miebach's sculptures explore the fascinating intersection of art and science—another recurring theme here—with equal parts poetry and precision, making science more accessible and art more cerebral, a pinnacle of the cross-pollination of disciplines at the heart of Brain Pickings.